The GPI-115 single port Power over Ethernet (PoE) injector offers a fully IEEE 802.3af-compliant solution for the FortiAP wireless access point family, and other 802.3af-based devices. 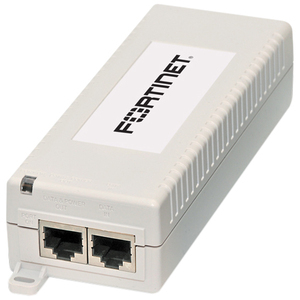 This mid-span power injector supplies up to 15.4 Watts of Gigabit Ethernet PoE and works with legacy network devices. The GPI-115 PoE Injector uses an intelligent auto-sensing algorithm to supply power to devices that accept 802.3af PoE connections.